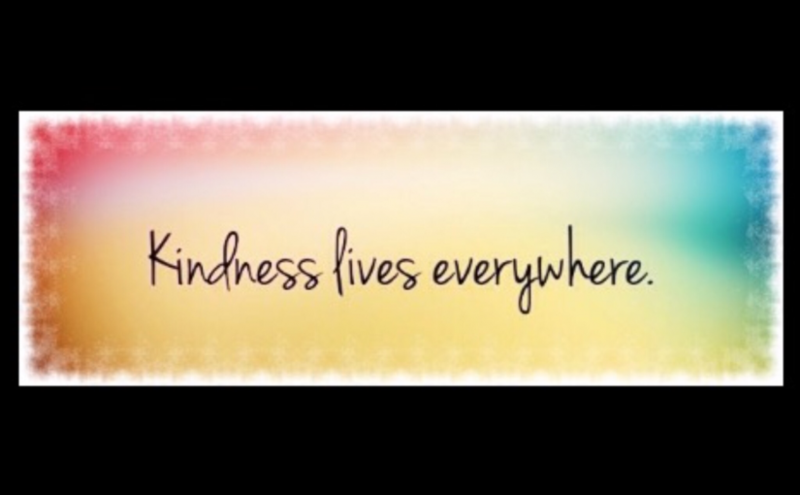 Today there was kindness everywhere. On the fourth day of these 30 days I did not expect to already be experiencing kindness back to me. Two people in my office building said hi to me today….one of them even said hi to me before I said it to him! And this afternoon I was a bit work stressed; I could feel my heart racing, so I called a friend and, even though he was not feeling well and probably had other things to do, he chatted with me and we had a great visit. At the end of our call I was calm and my heart had relaxed again. I didn’t tell him I was stressed, he was just kind to me because he is a wonderful person. After an amazingly relaxing hour at the spa, sweet Cheryl bought me a wonderful smelling hand lotion. What a doll, so kind to give it to me when it was the last bottle on the shelf. I enjoyed a quick workout with Mandi, who was kind enough to let me use the gym at her condo. To perfect the evening, Brenna gave me the biggest hugs and compliments tonight at the studio.